Great memories of going into Melanddi in the early eighties. Used to come down on the bus for the day as a fourteen, fifteen and sixteen year old without telling my mum where I was going, all the way from a town called Leominster in Herefordshire. I’ve still got three original Melandi shirts in the loft and wish they still fitted me, yellow and blue polka dot, black and white polka dot and a black and white wavy type check. 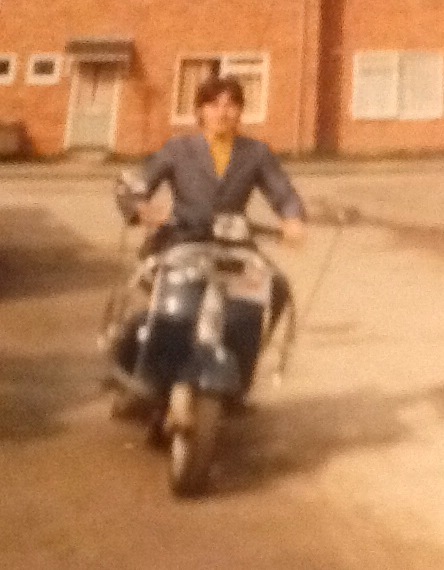 As you can tell I was a mod! Also remember seeing Marc Almond in the shop once at the height of his fame, but never met any of The Jam in the shop, unfortunately, although I have met them all many times since! Also loved your chisel toed bowling shoes, especially the black and blue ones, if only you could bring those back but without the blotting paper soles! Good luck with the new lines and don’t forget the polka dot and paisley shirts! PS don’t forget you may have a load of fat blokes in their late forties wanting shirts, me especially, so don’t forget the larger sizes! Nice that you have good memories of the shops. The old mail order brochures still look brilliant. Any chance of getting up in the loft and photographing your old Melanddi shirts and Ill put them on the website. Might even be tempted to swap one of my new shirts for the 3 old ones!!! My new shirts have been cut to a relaxed fit rather than the old slim fit. Basically its because our old slimfit bodies have RELAXED over the years!! So its more than likely the new shirts WILL fit you. Great memories of the shop! I will get into the loft and take some photos of the shirts. Last time they were worn was by my 15 year old son and a 14 year old friend of ours for a 80’s style theme day at school, along with my old mohair suit last year. Nice try trying to tempt me for a swap for three original ones for a new one, but they are a massive bit of nostalgia of my youth and I wouldn’t part with them, along with a load of other bits too! 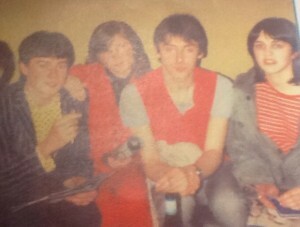 The two polka dot shirts are in near perfect condition too, Not bad for shirts bought in probably early 1982! A testament for the quality. I’m glad the new shirts are a more relaxed fit, if they fit me rest assured I WILL buy some of the new shirts! 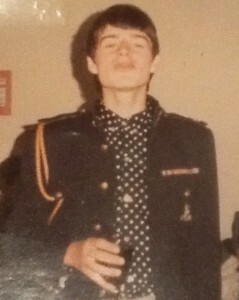 I’ve got a couple of photos, but of dubious quality, of me wearing the polka dot shirts, one of which I use in my Facebook profile photo from about 1985, along with a military style tunic (again which I still have), my favourite photo of me in my youth! The other on my scooter in 1982 also wearing bowling shoes which I probably bought in the shop too, although they may have been from Shelly’s. MIDDLE – Shane Juson Vespa 50 special.